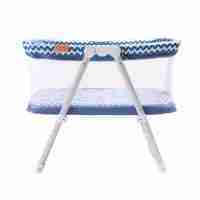 Sleep close to your baby at night with this next to me crib. 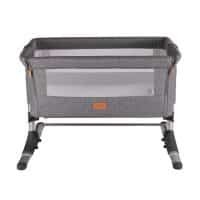 A safe sleeping space for your baby that attaches to the side of your bed. 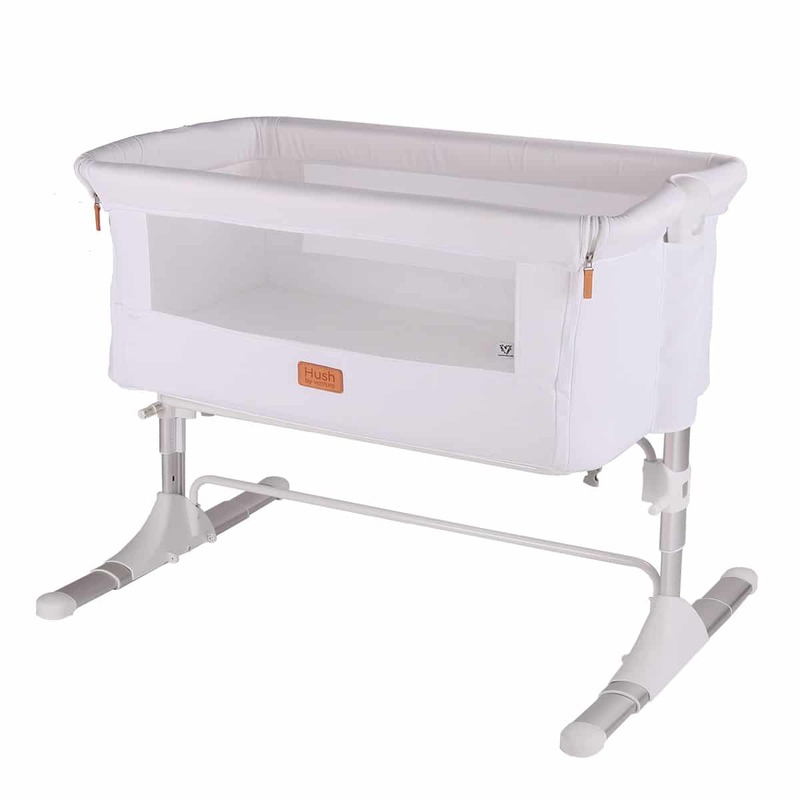 Height adjustable frame making it the perfect co-sleeper for a variety of beds. Specially designed mattress to the best comfort and support for your baby. 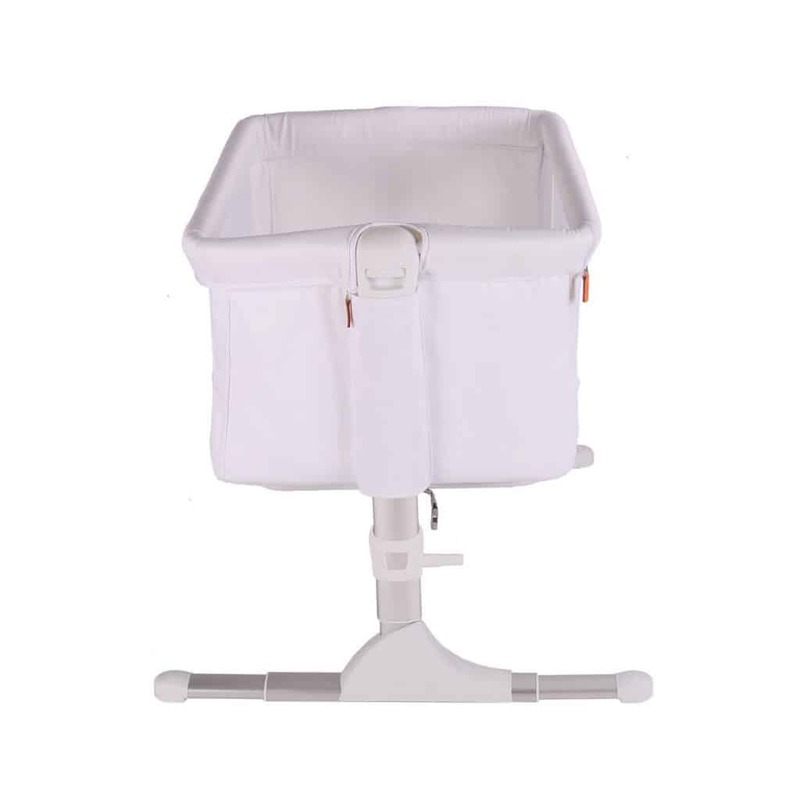 Tilt feature to help reduce colic in your baby. There’s no doubt that sleep is a key part of any babys development, however in the very early stages from being a newborn to toddler it can also be an incredibly stressful time for parents. As newborns require a lot of attention need to be tended too throughout the night, it’s important that they are as close as possible for some parents. 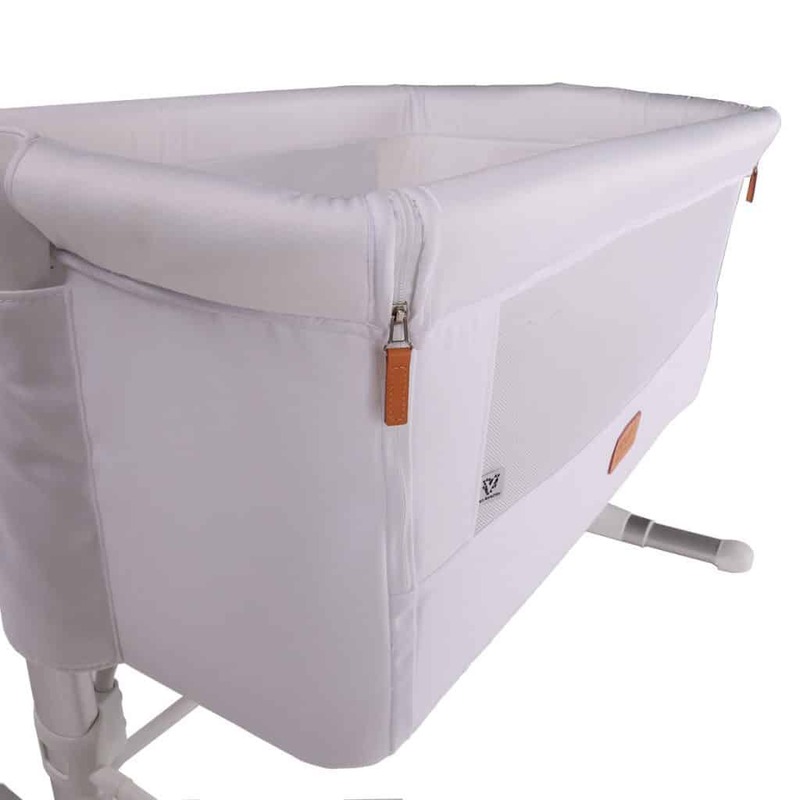 The Hush co sleeper crib is a fantastic alternative to a moses basket as it allows bed sharing without the risks of having your baby in the bed with you. Fitting the Hush bedside co-sleeper to your bed couldn’t be easier. 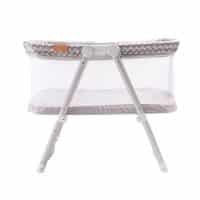 Simply get the provided fixing straps and clip them into the available sockets on the underside of the crib. 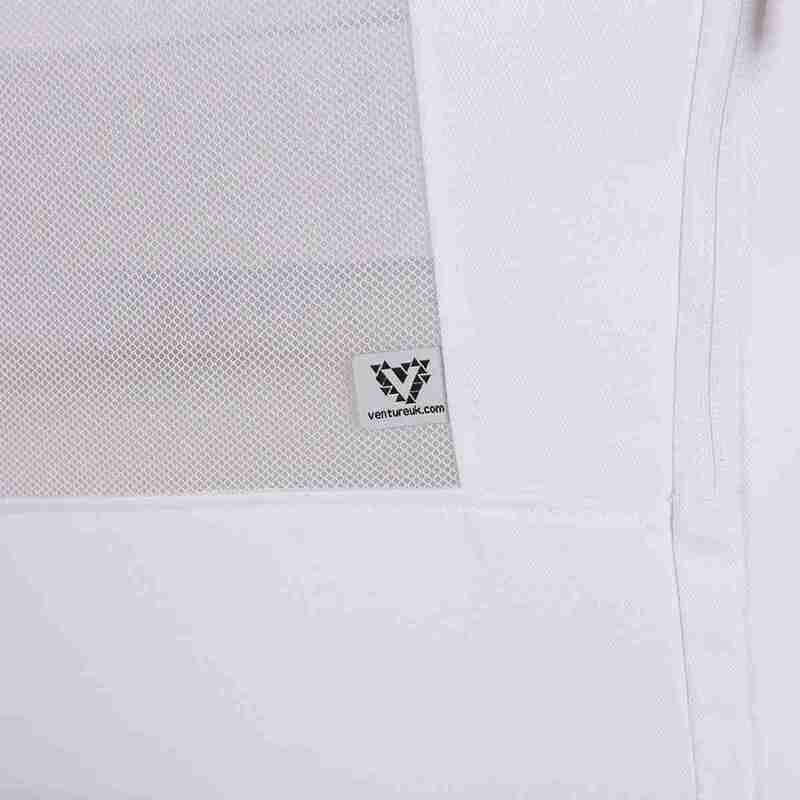 Next unzip the side panel on the crib and pass the straps underneath your beds mattress and hook over the bed frame on the opposite side, then simply tighten the straps to give the crib a stable and secure fit to the side of the adult bed. 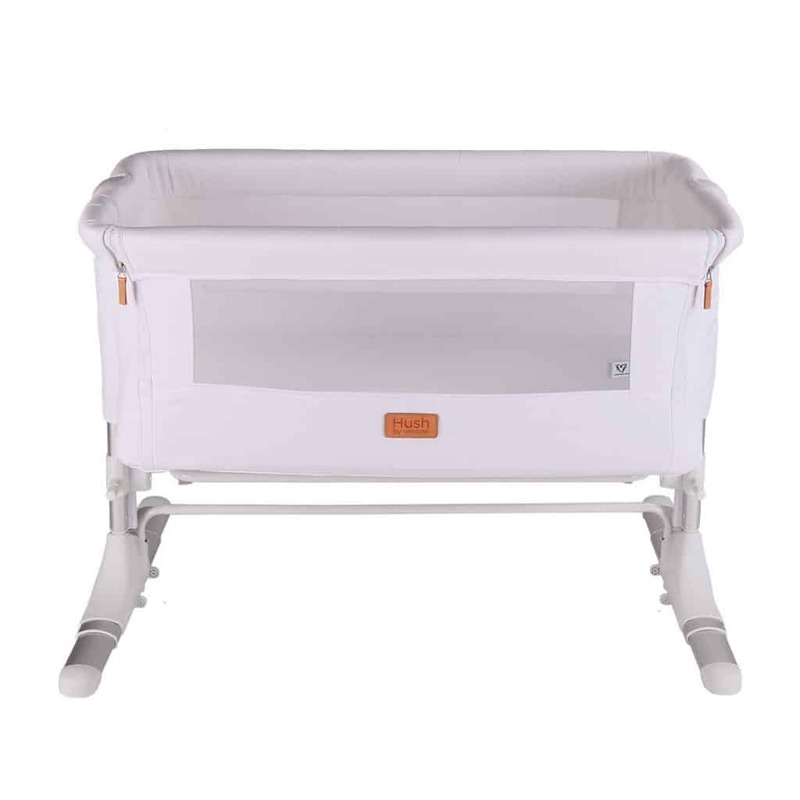 If your bed is higher or lower than the crib you can adjust it’s height by lifting the handles on either side, and adjusting acordingly. 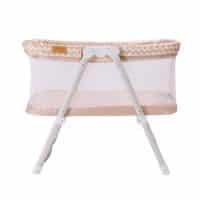 Perfect for co-sleeping on the go or at home! It’s good to have a safe sleeping space for your baby available at all times. 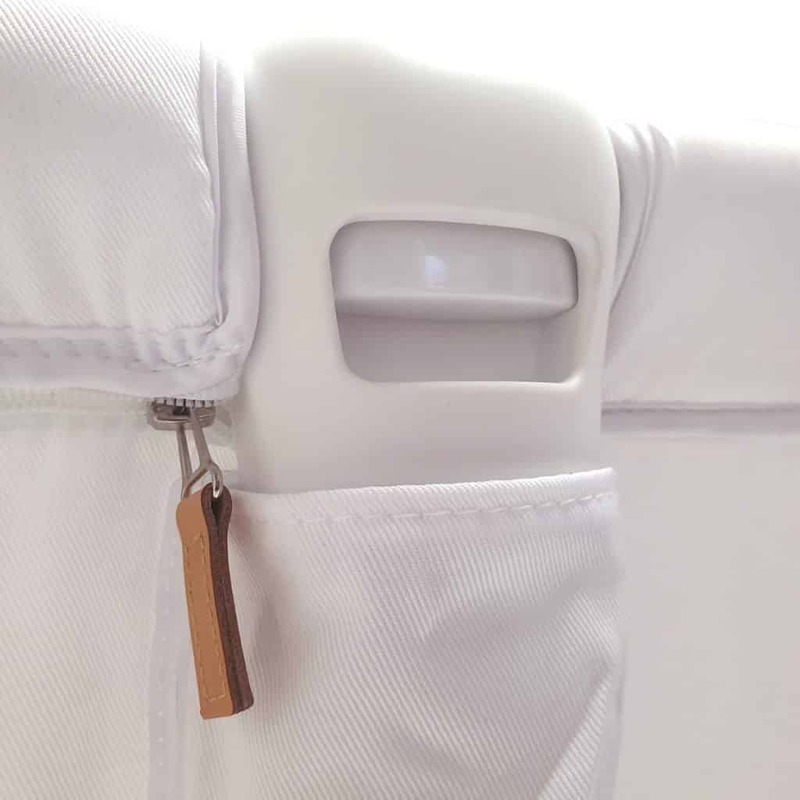 Whether your at home on the sofa or armchair or away travelling, the Hush co sleeper cot provides parents with a great place for baby to sleep. Like most bedside cribs it’s perfect when used alongside the parents bed, but it’s lightweight design and sturdy frame make it just as good when used as a standalone crib or cot. 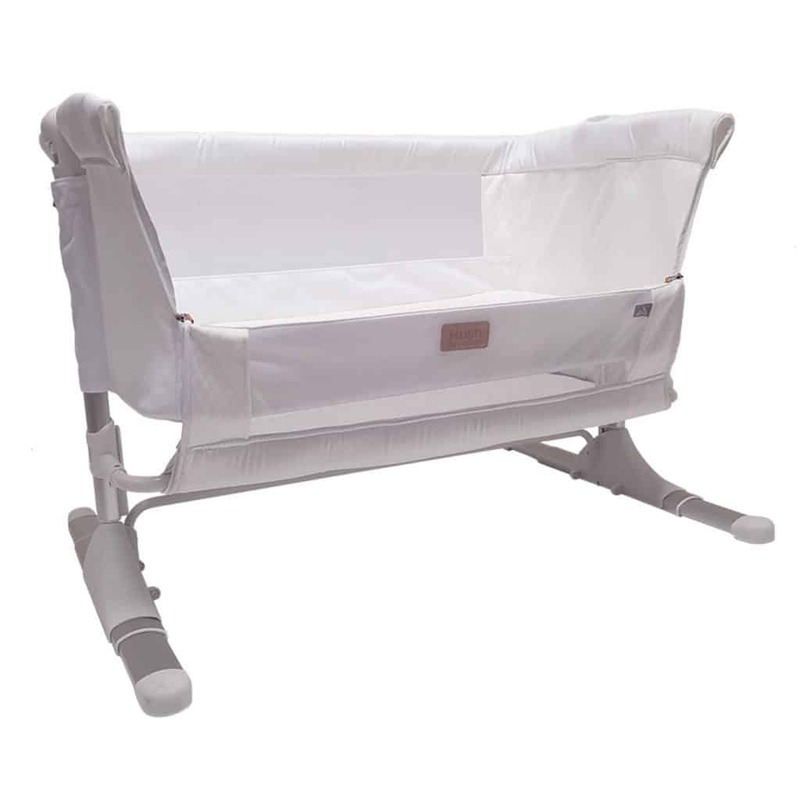 It’s firm mattress, airy design and height adjustment make this baby bed a great choice for babys that enjoy falling asleep on mummy or daddys lap!